✅ GET A GREAT NIGHT\'S SLEEP NO MATTER WHERE YOU ARE! No need to worry about nighttime noises - snoring partner, traffic, parties or more - with these little beauties in your ears! 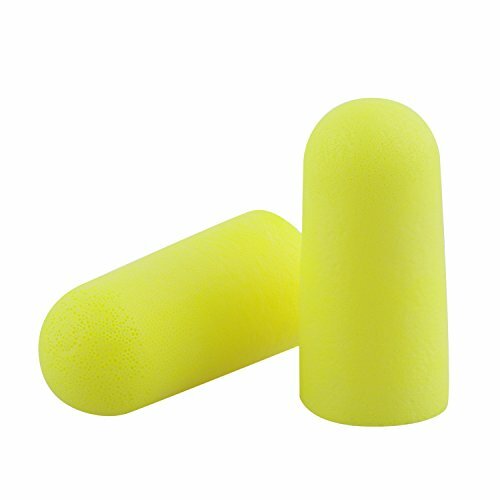 ✅ CLEAN FRESH EARPLUGS WHENEVER YOU NEED THEM - there\'s 5 individually packaged pairs in the tub so you can keep a pair in every purse or bag, just in case! ✅ JUST ROLL \'EM DOWN AND STICK \'EM IN! Premium soft, slow expanding foam makes these plugs quick to insert & comfortable to wear all night long! ✅ 60 DAY 100% MONEY BACK GUARANTEE; There\'s a reason we offer the STRONGEST GUARANTEE industry-wide! Is just as described and works perfect Great price and Great quality.